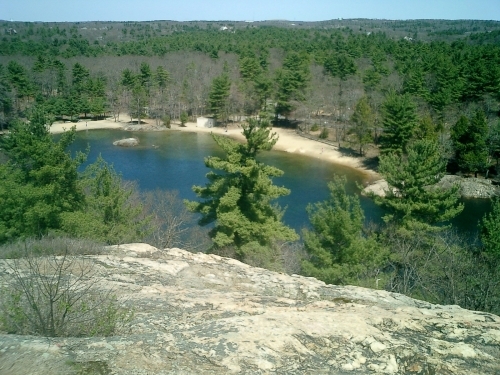 Located in the towns of Saugus and Wakefield, the reservation’s 700 acres of forest include both easy and hard trails with views of Boston, southern New Hampshire, two lakes and part of the Saugus River. The southwest includes rockier paths such as the more challenging Ridge Trail. 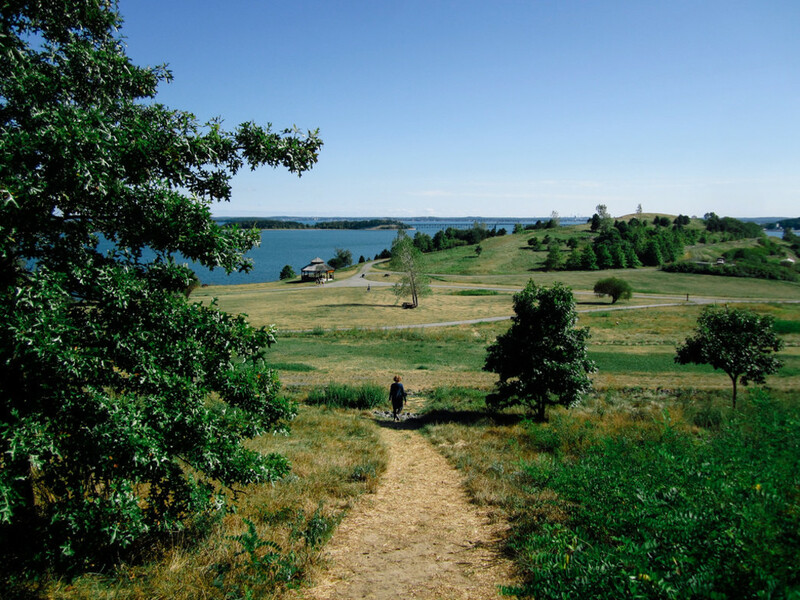 The Fox Run Trail is an easier trail leading to the beach on Pearce Lake – open daily in the summer. Child in tow? Don’t worry; the reservation has paved walkways free of traffic for stroller access. 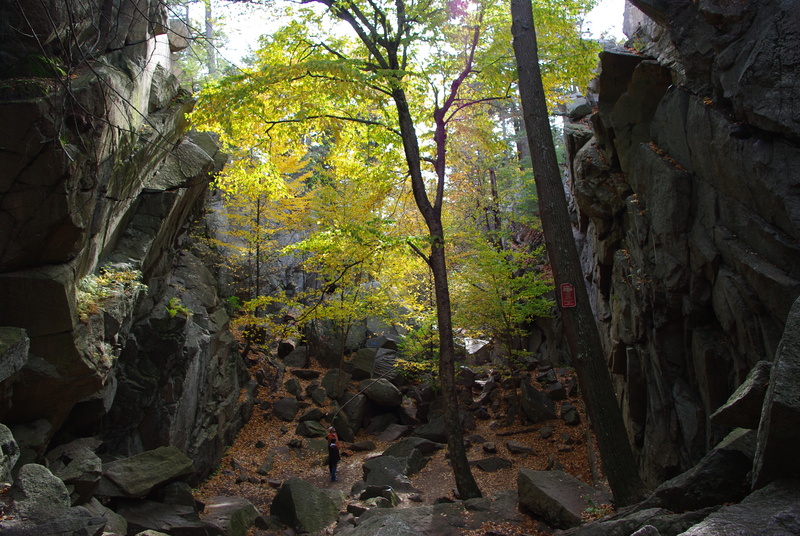 For those into rock-climbing, check out the Quincy Quarries in the northeast of the Blue Hills Reservation. 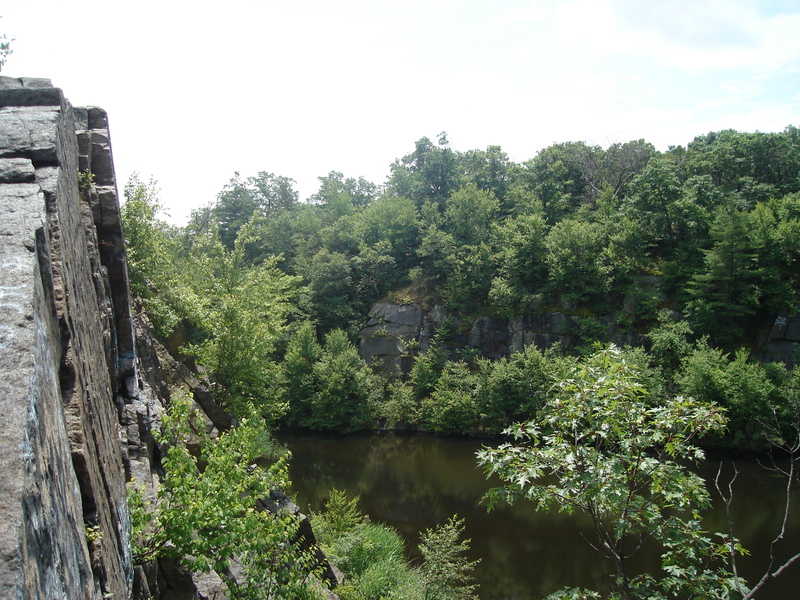 Dirt from the Big Dig was used to fill the Granite Railway Quarry – the most popular area of the graffiti-covered park. The place fills up on weekends and after work. Here, you can find light bouldering to challenging belayed climbs. Although be warned, this is probably not a good spot if you have young children with you. Noanet is home to four ponds linked by an offshoot of the Charles River. Through the Powissett St entrance you can find the Peabody Loop (“the blue trail”), which is an easier hike around the ponds and passes the old mill site of Dover Union Iron Co. For more dedicated hikers, follow the red blazes along the Caryl Loop Trail. 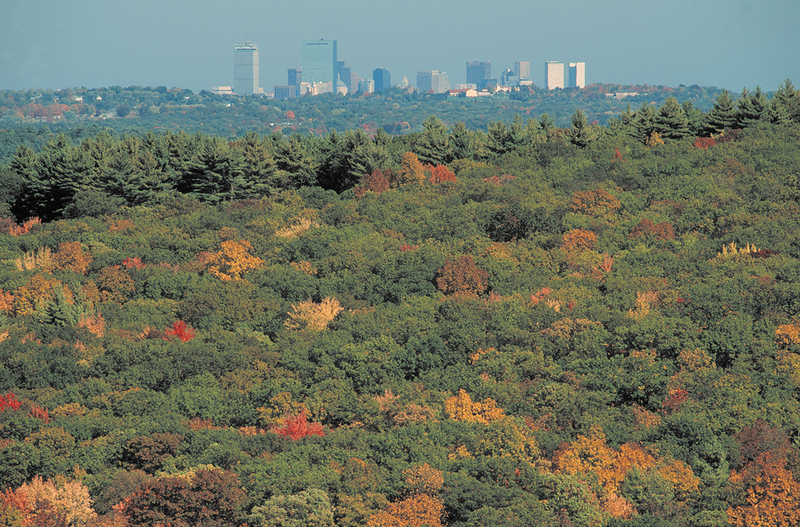 Or climb up Noanet Peak Trail and you’ll find yourself above the canopy with a breathtaking view of the Boston skyline like this one. Take the day for this one and you won’t be disappointed! Spend the morning on the beach swimming and then after lunch at the snack bar, walk northwest to Castles Hill. From there you can see the mansion, green rolling slopes and the Grand Allee that leads to the beach. To the south, shorter trails between 0.3 to 2 miles weave through the grassy sands. Rent a kayak and cross Castles Neck River to explore wildlife and marsh land on the Crane Wildlife Refuge. A must visit this summer! The 2.6 Spectacle Island walkway is gorgeous. It feels like you’re walking on water. You can go for a swim at the beach or climb the south drumlin for incredible city views. On Georges Island, you can explore Civil War-era Fort Warren or have a cookout at the sheltered picnic areas with grills. 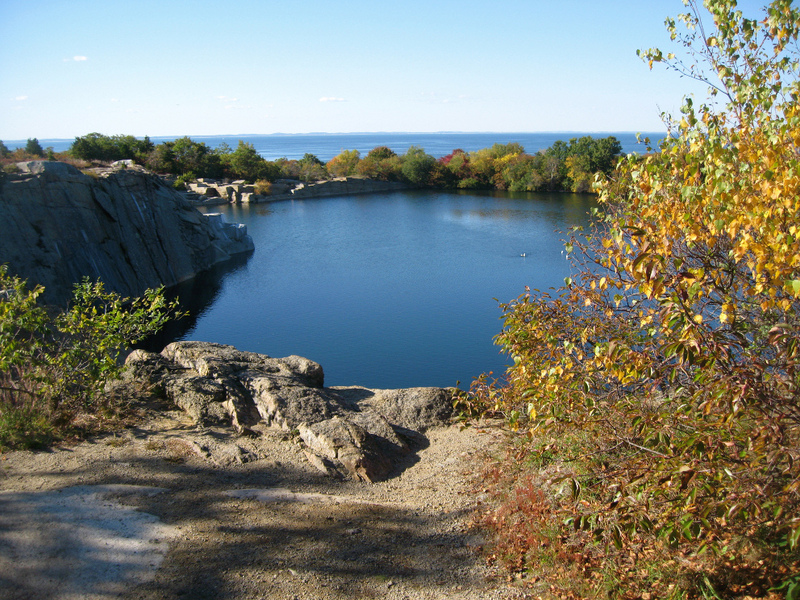 Rockport’s Halibut Point is a relatively smaller destination but rich with history. 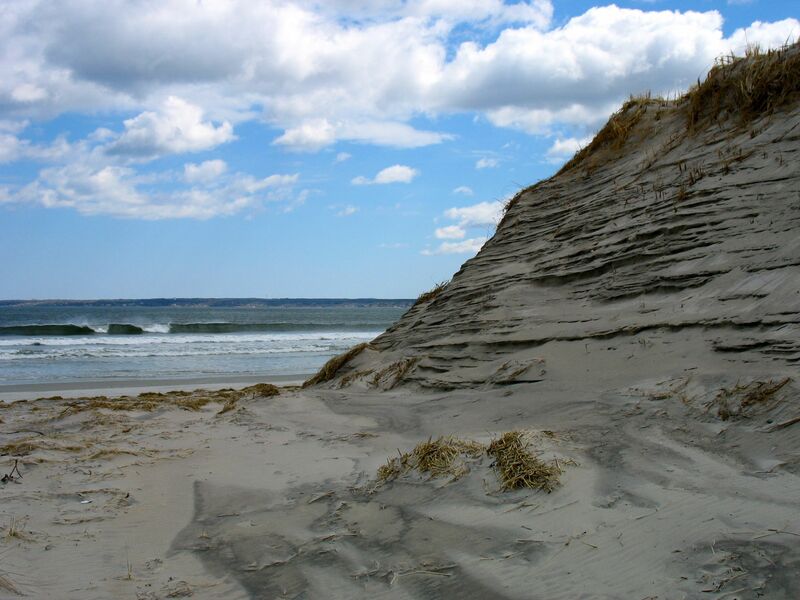 You can walk among the tide pools or hike along trails overlooking the Atlantic. Tours of the 1840 quarrying industry are available on weekends. On y our way home, stop off in Gloucester and enjoy a pint and free tour at Cape Ann Brewing Company. If you’re looking for a child-friendly place to go this is it. With a playground, regular children’s story hours and a plethora of winding trails through cavernous rock formations this is a little adventurers dream. The chasm loop is a rocky but easily navigated half-mile. Be careful after wet weather though because the granite can get slippery. Looking for more activities near and around Boston? Check out the four best drive-in movie theaters.